The Summer collections have started to roll in and eek, I have quite a bunch of Spring ones to show off still. I gather most of you have seen swatches of Spring shades so I will be trying to keep up with Summer swatches while still bringing you Spring shades via nail art! So ever since these China Glaze beauties showed up I've been dying to use them. They are just the kind of shades I adore and I was not disappointed. 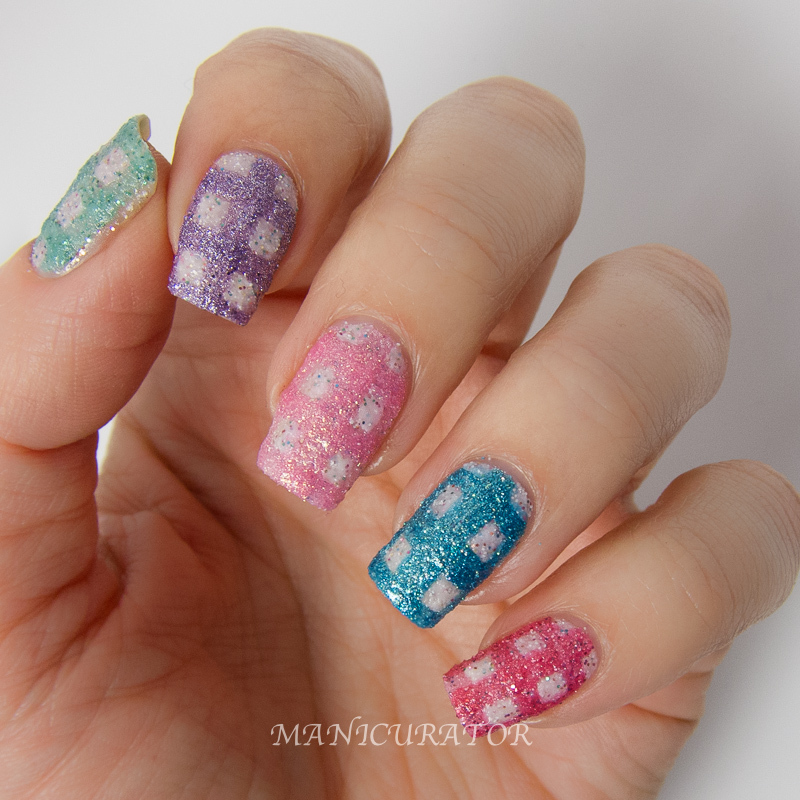 I think they are great on their own, and super cute all worked into the same mani. 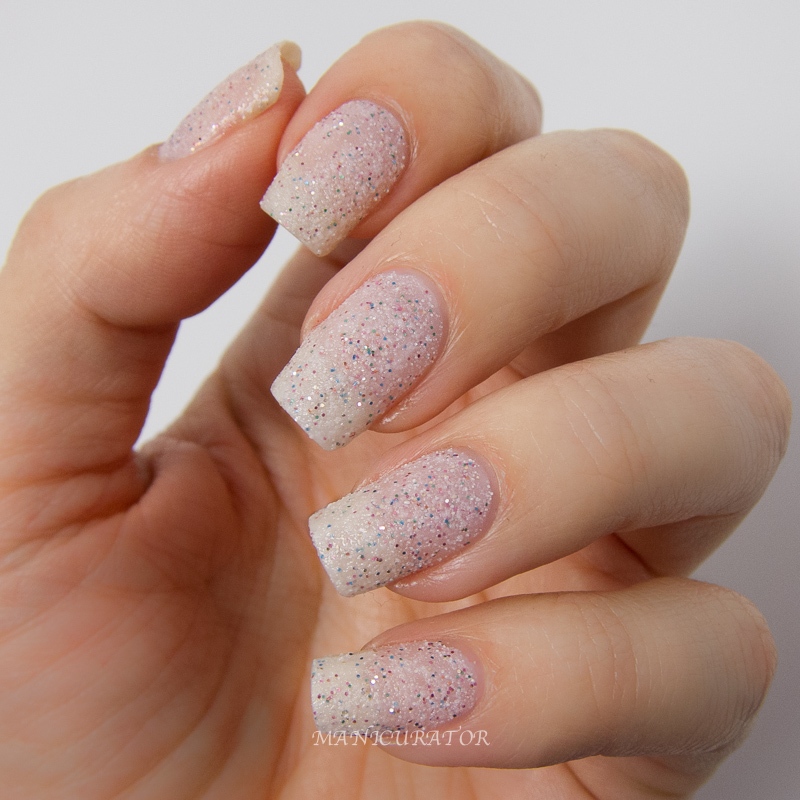 I began this manicure with 2 coats of Sand Dolla Make You Holla which I just love. 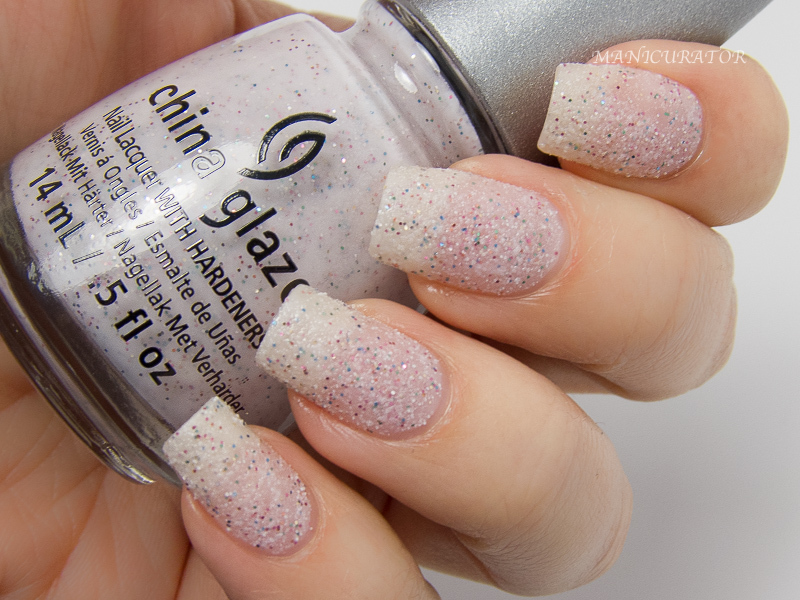 Offers a clean looking, textured look with multi-colored micro glitters. It really seems like textures are here to stay. Do you agree? China Glaze Sea Goddess is available for $7.50 at Ulta, Sally Beauty and other beauty supply stores. 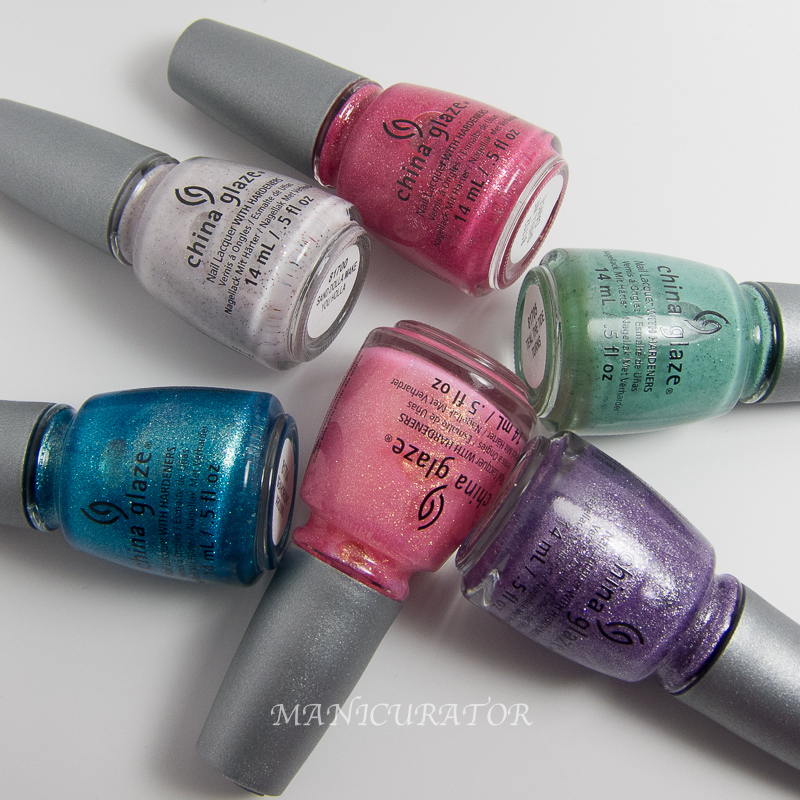 For more information, visit chinaglaze.com. Love textures, definitely hope they're here to stay! Great design! The colours are lovely! First of all I love the texture! The design is cute and it is a joy to look at it! Love the design, and love textures! I didn't think I would when they first came out, but I am definitely a fan! These are so cute, I love this look! I'm not sure about the textures personally, but you make them look good. This are simply adorable. I love this collection and never would have thought of doing this! 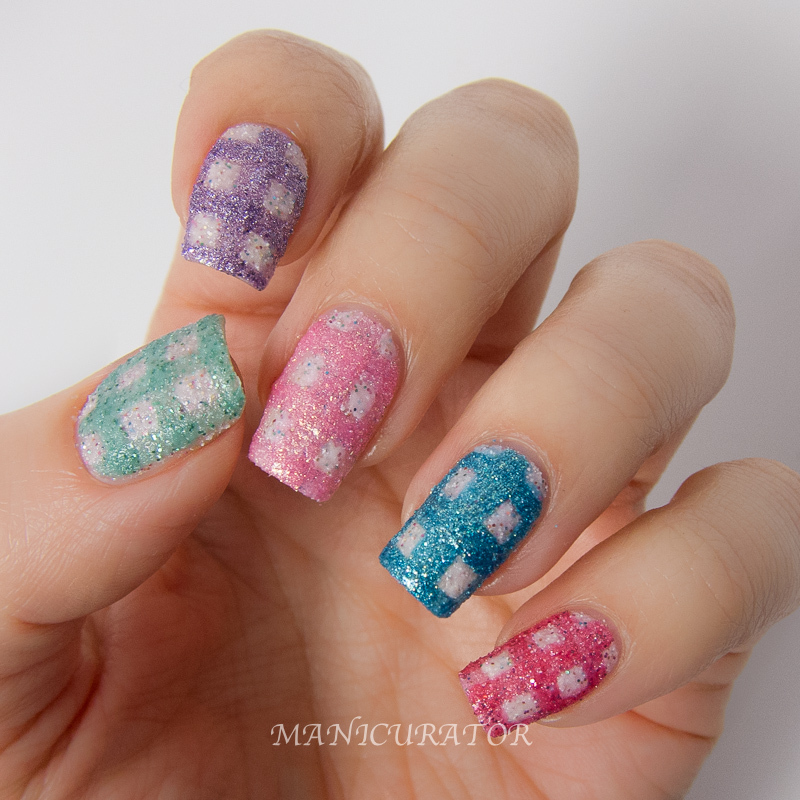 I love the gingham design! I can't wait till my Ulta gets these in so I can use my points to pick up one!